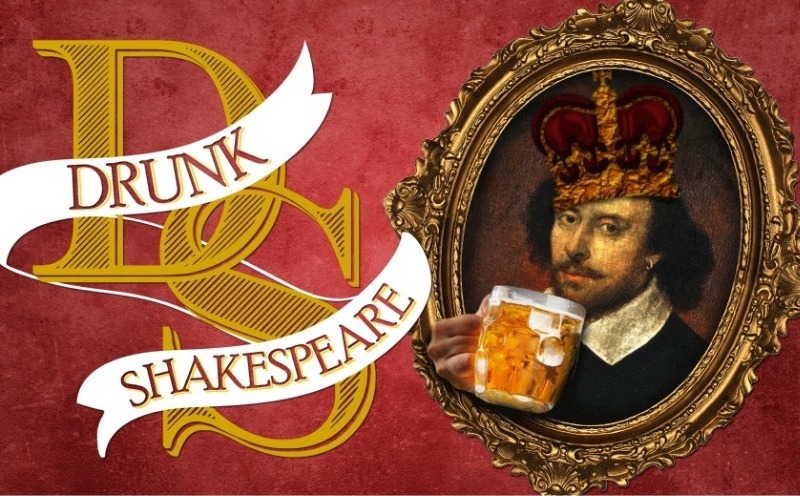 Drunk Shakespeare… two words that can’t fail to bring a smile to the face and make you want to raise a glass and slur off a sonnet. Fortunately, the actors have to handle the memorising of the lines, or not as is specifically the case with The Drunk Shakespeare Society. All you need to do is get your giggle on. This is Shakespeare at its funniest. So forget any previous misconceptions and prepare for entertainment at its exceptional best. Upstage and Down yer Drink! 5 actors on stage, 1 obliged to polish off 5 shots of whiskey and regardless of what happens, the other 4 need to ensure that the show must go on. 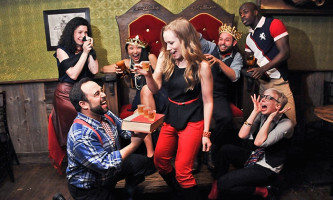 The company that is comprised of some of New York’s finest and fastest thinking actors, has been performing their variation on the Bard’s timeless classics to high acclaim and sold out theatres. An evening out at the theatre is not everyone’s choice of entertainment. Because I mean let’s face it, what happened to the good old days when having to perfect the art of throwing rotten vegetables was an integral part of going to watch theatre? Sure, those were also the times when scurvy, syphilis and tavern brawls were just another regular Monday night. But thanks to these sozzled thespians, theatre is reclaiming its raucous roots. 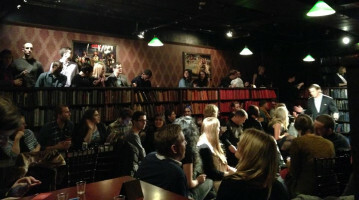 Hilarity, mayhem and quality entertainment.